How does one loan officer in Tempe, AZ, close nearly 50% of his monthly volume leveraging builder relationships? Forming relationships is the foundation of any success in business. The mortgage industry is no different. If anything, it is of paramount importance. There are many types of relationships the loan originator is responsible for. From customers to appraisers to real estate agents, title companies, lawyers and more, the loan originator is always discovering new ways to leverage partnerships to build business and foster mutually beneficial growth with other settlement services providers. Once of the most elusive relationships for some loan officers is builder relationships. Builder relationships, especially the builder of communities, can be one of the most lucrative partnerships because of the volume of business that is available from that one relationship. It’s also one of the hardest inroads to establish. So how do loan originators get their foot in the door? What value can they bring to the relationship with a community builder that will make that LO the go-to home financing lender for that builder. NFM Now host, Greg Sher sat down with Ryan Sandell, Branch Manager of NFM Lending in Tempe, Arizona to discuss his success at marketing to builders and bringing value to them like few can. Ryan closes 60-70 units a month with nearly 50% being related to his relationships with builders. 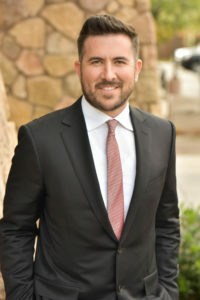 Hear how, starting 7 years ago, when he first began going after builder business, Ryan has built his branch into a powerhouse in the Tempe area. This interview is also available on iTunes. Welcome to another edition of NFM Now. I’m Greg Sher, joined by NFM branch manager Ryan Sandell out of Tempe, Arizona. Ryan, thanks so much for being with us. Ryan Sandell: Of course. Thanks for your time. Greg Sher: Yep. We’re so happy to have you here. We’re gonna go over builder business. It is a lost art and an unknown art to so many. We’re gonna get into how to get in a moment. First of all, you’ve been doing it since when? Ryan Sandell: Since about 2010. Greg Sher: So, you’ve got six and a half, seven years under your belt doing builder business and you do roughly how many units a year that are tied to builders? Ryan Sandell: I’d say at least 300 units a year. Greg Sher: Wow. That’s a huge number. So, roughly 25 a month. And, I should mention that as a branch of NFM, you close between 60 and 75 loans a month. So, kudos to you. How do people get into builder business, people that are just used to the more traditional channels of realtor engagement? Ryan Sandell: Yeah, I think that’s the toughest part because most of these builders will have their own in-house lender. But, what that means to me is that they are gonna to take the cream of the crop loans and obviously a builder side of it, they wanna close as many loans as possible. So, any value you can provide outside of their own lender and their overlays is a huge asset to them. Greg Sher: How do you wiggle your toe in the door? Take us back to when you got started? What was your first big break? Ryan Sandell: Well, it’s funny. My first big break happened to be with a realtor who got me into DL Horton, who’s a national builders, so I think most people should know them. He told me that I was his guy and we actually hadn’t even closed a deal together, but I had marketed to him and I ended up meeting the salespeople through him. And, I didn’t even close a deal, one deal with him, but I ended up making relationships with the salespeople and getting their turn down business, and it took off from there. Greg Sher: And, look at you now. So, knowing what you know now and obviously it’s so much, what is missing? What can a lender bring to a builder that you think they’re starving for? What kind of value add? Ryan Sandell: Well, listen, I think that’s the key word, is value. Because, any lender can close loans now. We all have the same program, same rates. So, it’s thinking outside the box on what you can bring to them. An angle that I use, and still use, in recruiting my builder relationships still, even though I have them, is just making sure that I am not just receiving their loans and doing a good job there, which is obviously important, but it’s also thinking outside the box as far as marketing on their behalf. I think most builders are probably not the best at marketing themselves to the general public, and we are in the trenches with realtors, trying to get as many leads as possible. So, if we can bring that mentality to the builders and provide value that way, I think that’s a huge step in the right direction to get a foot in the door. Greg Sher: That’s great insight. You’re listening to NFM Now with host Greg Sher. Ryan Sandell is on the line with us, a brand manager of NFM out of Temp, Arizona who does 300 builder related transactions a year. Just an astronomical number. Ryan, what is the cycle like, of trying to woo a builder compared to the experience and cycle of wooing a real estate agent? What’s the horizon like in terms of time? Ryan Sandell: Well, I think it’s gonna take some time for sure. It’s gonna take some really rough business at first, to get yourself in the door and gain that trust. Because again, everybody wants the good deals and you’re not gonna get that right off the bat. So, you’re gonna have to spend some real time with some clients who may or may not qualify at that point in time, but if you can get them in a position to buy and give them back to the builder, that’s the first step in the right direction, developing that trust. Greg Sher: So, when I think of the word builder, I guess it could mean two different things. You’re either building one house or you’re building a community. Do you go after both? Ryan Sandell: I only go after your builders who will build multiple units per month. Otherwise, the onesie, twosie builders, I think that that’s probably more on the realtor relationship side, which is still important, but to go over your multi-subdivision builders who are gonna do at least 100 to 150 units a year, that’s where you wanna really spend the time. Greg Sher: And so, if you go after a realtor and you get their business, maybe the realtor’s doing two or three transactions a month. It sounds to me like what you’re saying is that if you get a builder, you’re on the line if you do a good job for so many more potential transactions. Ryan Sandell: Yeah. It’s endless. And, what I do with my staff is, in the communities that they have open, we’re gonna go sit at those communities every single weekend. And, what that does for us is two things. The first is, obviously when buyers are there we can qualify them on the spot, which builders love. Number two, 60% of those people are not buying those houses, but they’re still qualified buyers. And, of that 60%, 40% of them don’t have realtor relationships yet. So, it’s a whole nother thing that we can expand on, as far as getting these referrals that we can hand out to our referral partners, which are realtors, or obviously getting people qualified on the spot to get a builder prequalification letter right then and there, because we don’t want people to leave without knowing that they’re qualified for that house. Greg Sher: Wow, what a gold mine that is. Never even thought of that, that you can turn some of those people into qualifiers for a mortgage down the road, maybe in just a traditional house that’s already on the market through an agent that you know, that you can link them up with that agent or something like that. So Ryan, how do people go find a builder community? What’s the first piece of advice you’d give someone who’s looking to get into that game? Ryan Sandell: Well, I think us as lenders probably are all too familiar with losing deals to builders that have their own lenders. So, I think we all know of the culprits that are in our community that we lose deals to because we can’t compete with the incentives that builders get. So, that’s the first thing, is just finding out who the competition is that you’re dealing with out there. And then, not looking at it as a threat but trying to find a way to provide an asset for them to be able to do this. And so, the big thing for me is, I talk to the salespeople. They’re the ones. And, builders are different. Some are very controlling on where they send their outside business and some are not. So, the better you can develop relationships with those salespeople, those salespeople wanna make just as much money as the realtor out there, so once they find an interested buyer they need to turn them into a transaction. So, if we can help them do that, then great. And, the next piece to that, and how it helped me get more and more builders, is the salespeople for builders usually change their employment every couple years. So, if you make relationships with certain salespeople and then they go to a different builder, guess what? You already have a foot in the door with a new builder. So, it’s important to keep up those relationships with the salespeople. Greg Sher: And, for those people who hear those salespeople, you use that term those salespeople, it could be foreign to them. So, if you could, even though it’s very simple, walk us through what a salesperson does with a builder? Ryan Sandell: So, salespeople are the one or two people that are sitting in the model home seven days a week, waiting for people to walk in the door so they can sell them a home. And, that’s exactly what they do. So, any assets you can provide them, whether it be person, realtor relationships, marketing, anything like that, would be super beneficial to them, and they will return the favor. Greg Sher: Incredible knowledge about how to get builder business from NFM Branch Manager Ryan Sandell out in Tempe, AZ. Ryan, thanks a ton for your time. This is gonna be very valuable to the field. Greg Sher: All right. Pleasure having you. This is Greg Sher, you’ve been listening to another edition of NFM Now. See you next time. Interested in learning how to build realtor relationships? Listen to this NFM Now interview with Jane Floyd.